Grosskraftwerk Mannheim AG (GKM) produces energy and distant heating for the booming Rhine-Neckar metropolitan region. Complex processes support the operation of the power plant, including a large fleet of industrial cranes and hoists. Their reliable operation is very important, so they are always ready for use in case of repairs at GKM. Therefore, each of the approximately 260 units requires maintenance and safety-related checks on a yearly basis. For this, GKM relies on the competence of the crane specialists at Konecranes. With the customer portal yourKonecranes.com, the maintenance process becomes more efficient, and GKM always has its 260 units in view on-line. GKM power plant’s unit 9, which was connected to the grid in 2015, is one of the world’s most efficient coal-fired power plants, with a fuel efficiency of 70 per cent. For transport, maintenance and lifting tasks, GKM uses 260 crane systems and hoists of various types and manufacturers – an enormous fleet. Reliability of these equipment is crucial. Therefore, for maintenance and check-up of this fleet, GKM completely relies on Konecranes, one of the world’s leading manufacturers of cranes and hoists. 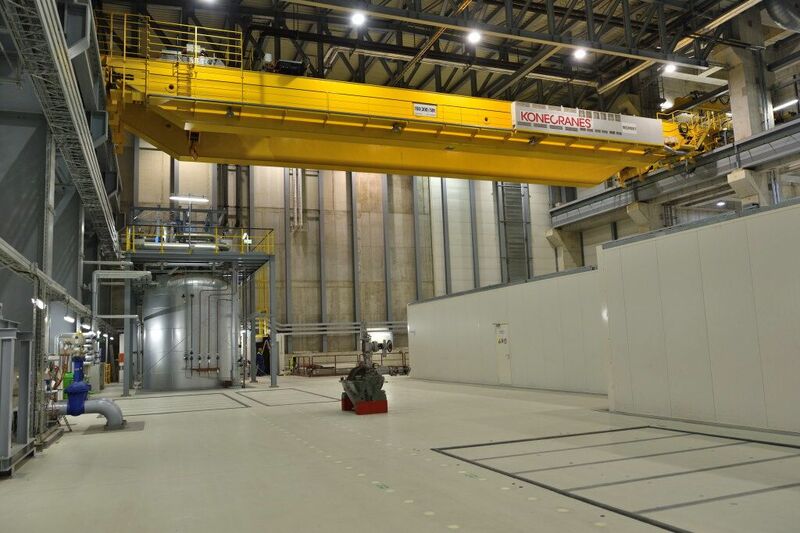 Each of the 260 cranes and hoists – from a simple chain pulley to the 300 tonne powerhouse crane, which the crane experts of Konecranes installed in the new power plant unit 9 requires a yearly safety-related check (UVV) and maintenance. How is it possible to get a quick, safe and clear overview of such a large fleet of cranes and hoists? With the industry leading cloud-based customer portal, yourKonecranes.com, this is made possible – regardless of how many cranes and hoist you have. At the beginning of each year, the experts at Konecranes coordinate the timeframes for maintenance and the safety-related checks with GKM. “Complex processes support the supply of energy. One example: Each year, about 3 million tons of hard coal are required for the operation of the boilers. It needs to be unloaded with the loading bridges, stored and transported to the four power plant units with the conveyor systems at the right time. For maintenance and repair of these units, reliable cranes and hoists are crucial”, says Michael Griesheimer, responsible for the maintenance of these facilities at GKM. While planning the service assignments, the operational processes are monitored in detail, and so, an optimal date for maintenance is set. On yourKonecranes.com, GKM can always track the dates. Moreover, yourKonecranes.com allows on-line requests for services. The cranes and hoists at GKM have different years of construction, manufacturers and histories. This results in individual requirements that Konecranes needs to consider for the check-up. For maintenance and check-up of all units, Konecranes service technicians spend approximately three months at GKM. 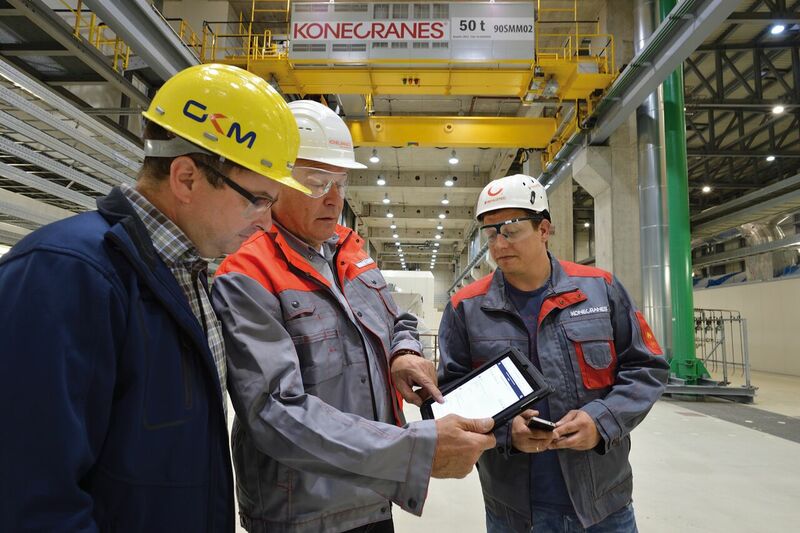 With yourKonecranes.com, the crane experts always have mobile access to all information – from technical data to test reports – on their smartphone or tablet, regardless of where they are located on the large premises of the plant. With every check-up, the service technicians update the units’ data on the portal, and GKM can track the status of each maintenance work promptly in the service calendar. 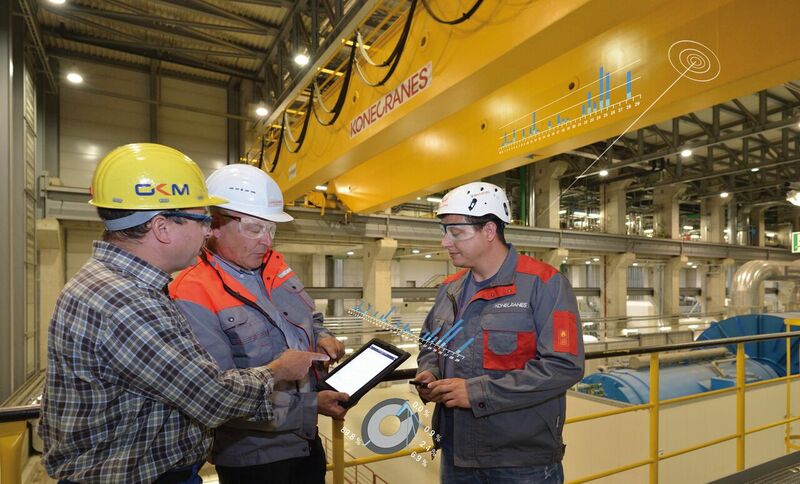 Following each maintenance work, Konecranes creates a test report for each of the 260 cranes and hoists and advises how to further optimize the units. Moreover, GKM can access all reports on-line at yourKonecranes.com. Especially helpful: With the search function, the units can be arranged by various criteria, like maintenance priority, last actions or newly requested services. High availability of the cranes and hoists is essential for the precisely timed production process at GKM. Therefore, the experts at Konecranes assess the condition of individual units already during the check-up. If the operation of a unit is at risk or if it might fail, quick action is required.” Individual cranes and hoists are assigned to the four power plant units of GKM on yourKonecranes.com. In this way, the responsible departments receive notifications in a quick and uncomplicated manner, and repair orders can be initiated promptly. 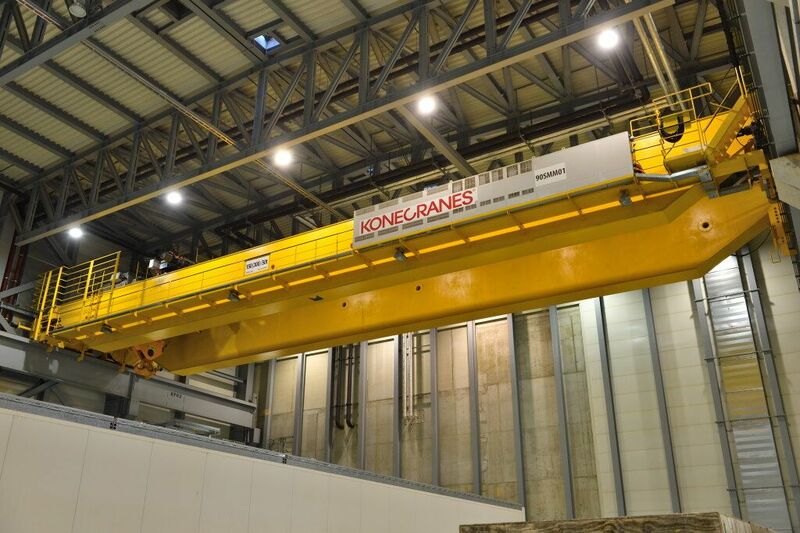 “yourKonecranes.com significantly facilitates the whole process at the Mannheim high-energy power plant. Also in the United Kingdom, our customers use the customer portal yourKONECRANES, which facilitates quick and easy access to crane maintenance information, usage data of TRUCONNECT, maintenance information and unit details. Pooled data can be quickly shown, analysed and transmitted, so that sound maintenance decisions could be made”, adds Mark Goringe, Konecranes Industrial Service - Area Director, Mid West Europe. [Photo 1] Two crane experts of Konecranes are at GKM for about three months to check all 260 units. From a simple rope hoist to a 300 tonne powerhouse crane: With the online portal yourKonecranes.com, the experts always have access to all information on their mobile devices. [Photo 2] With yourKonecranes.com, GKM always keeps an overview of the status of its cranes and hoists, scheduled service dates and maintenance work. The cloud-based customer platform facilitates the energy supplier throughout the whole service process. [Photos 3, 4 and 5] GKM generates energy for 2.5 million people and for commerce and industry, as well as distant heating for 120,000 households. For this, 260 cranes and hoists are used on the premises of the plant. 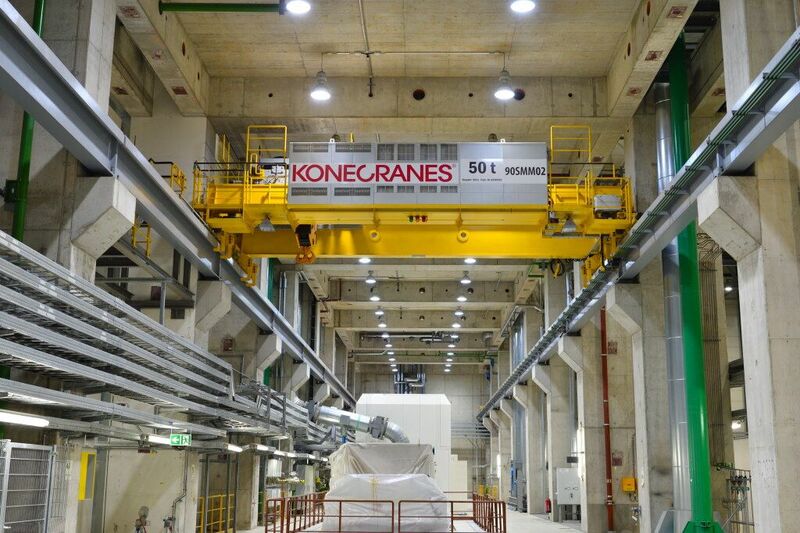 Konecranes undertakes the yearly maintenance and safety-related check-ups of the units.